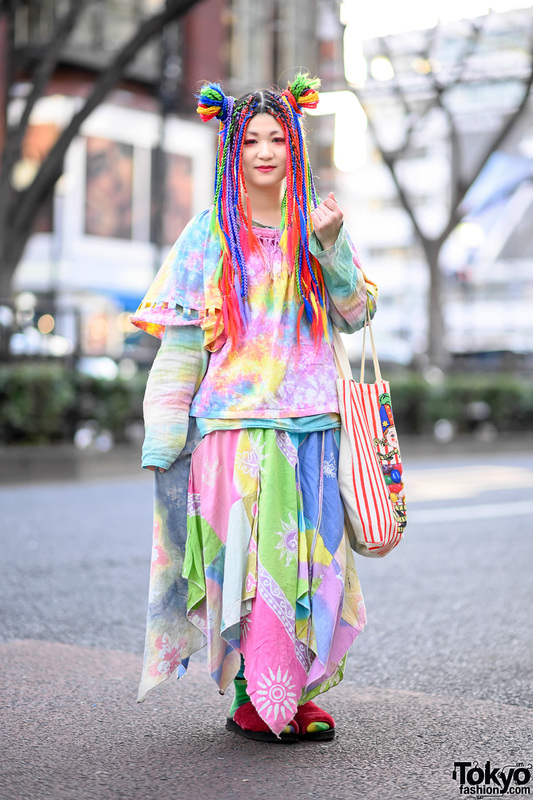 Mari is a 17-year-old Japanese student who we often see on the street in Harajuku recently. 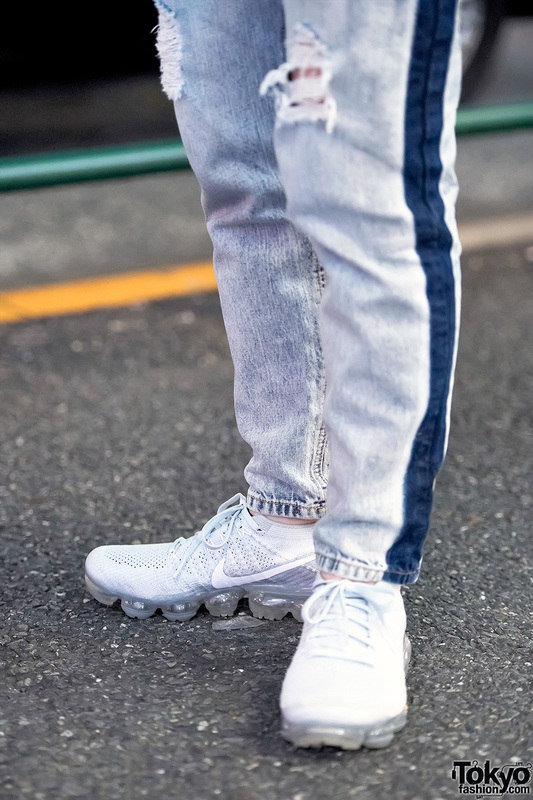 In addition to her green hair, Mari is wearing a Burberry plaid top over an H&M ripped tank, vintage acid wash jeans with holes, and Nike sneakers. 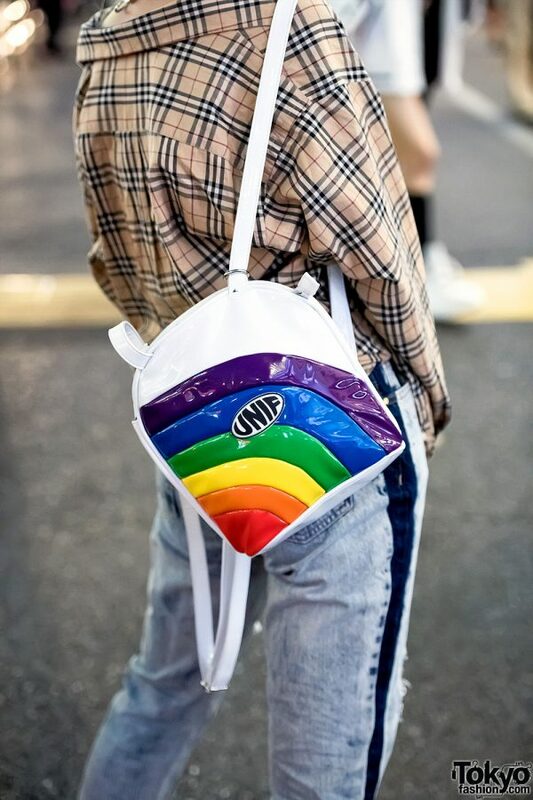 Accessories – some of which came from ME Harajuku – include an o-ring choker, grommet belt, and UNIF rainbow backpack. Mari’s favorite fashion brand is UNIF. Follow her on Instagram and Twitter.